In a joint statement released today, EU High Representative Catherine Ashton and Enlargment Commissioner Stefan Fule announced completion of the negotiations on the Association Agreement (AA) with Armenia, which now awaits initialing during the Vilnius Summit on 29 November. Yesterday, the EU and Armenia concluded negotiations on the Deep and Comprehensive Free Trade Area (DCFTA), which is part of the Association Agreement. Below we provide you with a couple of articles on the subject. 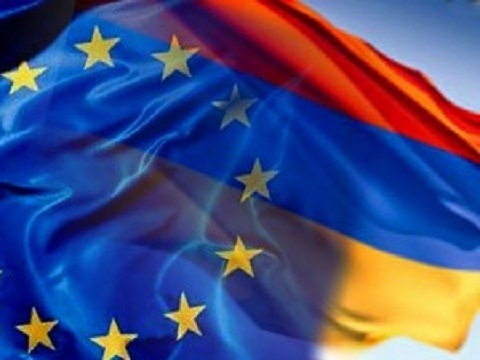 The EU has completed on July 24 negotiations with Armenia for an Association Agreement, including the establishment of a Deep and Comprehensive Free Trade Area (DCFTA). A day before negotiations with Georgia for a similar agreement were also successfully concluded. “The Agreement will have a direct positive impact on daily life and will bring Armenia and all its citizens closer to the European Union,” they added. The negotiations are part of the EU’s Eastern Partnership initiative which aims to enhance the bloc’s relationship with Armenia, Azerbaijan, Belarus, Georgia, Moldova and Ukraine. The new association agreements include deep and comprehensive free trade agreements with those countries willing and able to enter into a deeper engagement and gradual integration in the EU economy. They will also allow for easier travel to the EU through gradual visa liberalisation, accompanied by measures to tackle illegal immigration. The Partnership also aims to promote democracy and good governance, strengthen energy security, promote sector reform and environment protection, encourage people to people contacts, support economic and social development and offer additional funding for projects to reduce socio-economic imbalances and increase stability. YEREVAN, JULY 25, ARMENPRESS: High Representative of the Union for Foreign Affairs and Security Policy Catherine Ashton and European Commissioner for Enlargement and European Neighbourhood Policy Stefan Fule on July 25 issued a joint statement on occasion of finishing negotiations between Armenia and European Union on Deep and comprehensive free trade area which is a component of Association agreement. “Armenpress” reports that the commissioners mentioned that they are glad on occasion of finishing negotiations between Armenia and European Union on Deep and comprehensive free trade area. They spoke about importance of those developments looking for pre-signing Association agreement during Vilnius summit. “The finish of negotiations which began in 2010 is an essential achievement for Armenia and EU. The association agreement will let EU and Armenia to go forward jointly in direction of comprehensive modification and reform projects based on common values, political association and economic integration. The agreement will have a direct positive influence on everyday life and will make all Armenian citizens closer to European Union. We express our gratitude to negotiators of both sides for reaching this wonderful result,” is said in the statement. Negotiations between Armenia and European Union on Association agreement are in process since 2010. It is planned that it will be pre-signed in November, 2013. Negotiations on creation Deep and comprehensive free trade area were finished on July 24. “We are delighted to confirm the substantive completion of the negotiations on the future Association Agreement between the European Union and Armenia, including the establishment of a Deep and Comprehensive Free Trade Area (DCFTA), on which negotiators reached agreement in Yerevan yesterday.